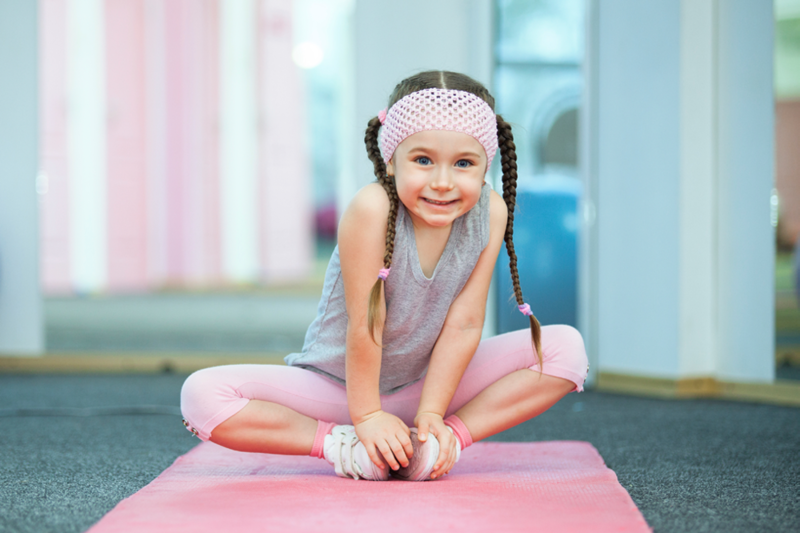 These gymnastics games for kids strengthen developing foot muscles, ward off common foot problems like pigeon toes and flat feet and create an instant afternoon of healthy fun. Kids’ fingers get plenty of exercise playing video games and swiping iPads. But what about their feet and toes? 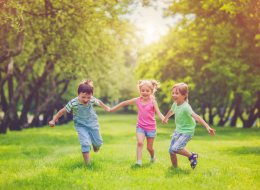 With many children engaging in demanding sports, and foot troubles like flat feet, pigeon toes and clubfoot running rampant, it’s important to keep your kids’ feet strong and healthy. Fortunately, gymnastics games are a a fun activity that can do just that! What Are Foot Gymnastics Games, And How Can They Help? Foot gymnastics are games and exercises created to help develop and strengthen feet as well as the ankles and lower legs. 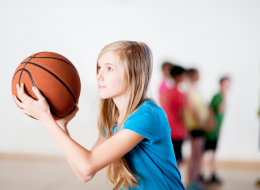 Though the barefoot games are beneficial for both adults and children, gymnastics activities are especially helpful for growing kids who engage in sports or who may be pigeon toed or are displaying signs of flat feet, plantar fasciitis, gait problems, foot pain and other foot conditions. Gymnastics games help keep the structure of children's feet healthy, normal and strong. 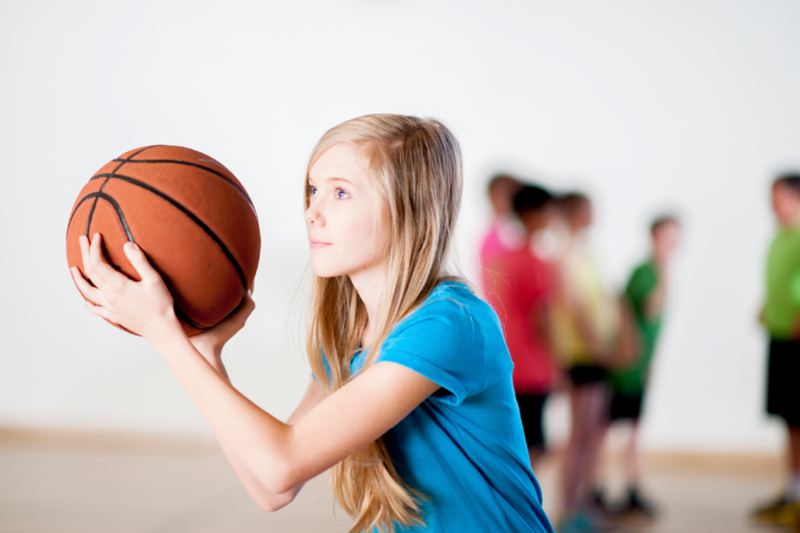 Options abound when it comes to entertaining games and exercises that provide both laughter and fun as well as healthy ways to keep your kids strong and physically competent. Remember to perform all of these gymnastics activities while barefoot and be sure to encourage your kids to really work the toes, calves and arches of the feet while playing. Spread several small objects (Legos, pebbles, walnuts, etc) on the ground next to a bucket, set and timer, and then have everyone involved in the game pick up and deposit as many of the objects as they can using only thier toes within the allotted time limit. The person with the highest number of objects wins. This can be played alone by trying to beat your last high number. Pick up an object with your toes, pull your leg back and throw the object as far as you can. The person who throws the object the furthest wins. This can be played alone by trying to beat your own high record. Pick up items with your toes and try to stack them. The person with the highest stack wins. Objects good for this activity include plastic cups, pieces of paper and baby blocks. This is sort of like musical chairs, but instead of switching seats, the group (or pair) of people pass a stick to one another using only their feet. Continue passing until the music ends, and whoever is holding the stick when silence hits loses. Sit facing your partner and use a towel, t-shirt or piece of fabric that you each grasp with your toes. Pull and tug — using only your toes to hold the fabric — until someone has to let go. The person still holding the fabric wins. Trying to keep the smoothest balance possible, lift all of your toes off the ground until you’re standing only on your heels. Hold the position for 5 to 10 seconds, and slowly switch positions so you’re standing on your tiptoes for 5 to 10 seconds. Continue alternating back and forth until someone loses his or her balance. Use a 2x4 piece of wood or a real balance beam to test your balance. Try balancing on one foot like usual and also on one foot while you’re on your tiptoes. 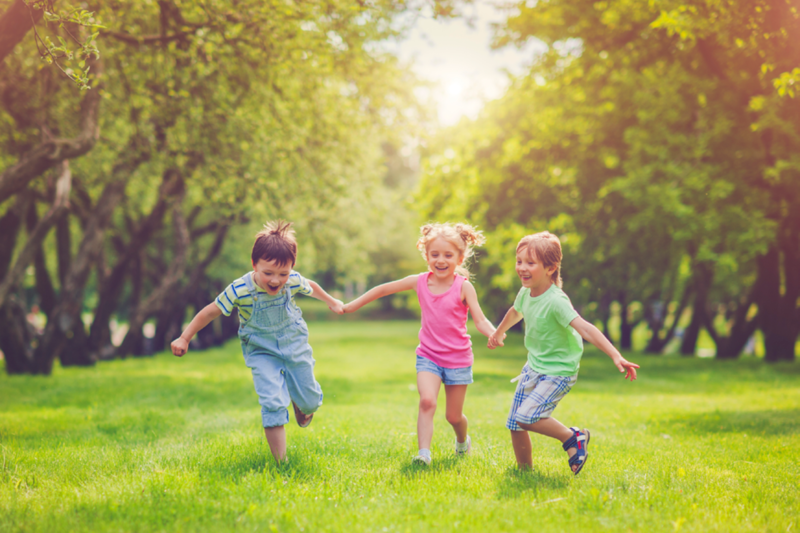 Create a mini barefoot park in your own backyard alternating different types of foot mats and wood planks with small boxes or plastic containers filled with materials like sand, wood chips, marbles, Jell-O, mud or anything your creativity dreams up. Start out by walking the “path,” taking the time to feel the different textures on your feet. Then try switching up the path and walking it blindfolded, trying to guess each substance as you go. If you have a large group, have the children form a line and place their hands on the shoulders of the person in front of him or her. The head of the caterpillar (leader of the line) chooses how the group will walk — on tiptoes, on the side of the foot, on the heels, backward, etc. — with each group member behind following suit.